One ring to rule them all. This opaque print features the heroes and villains of Middle Earth as imagined in Peter Jackson's epicThe Lord of the Rings. 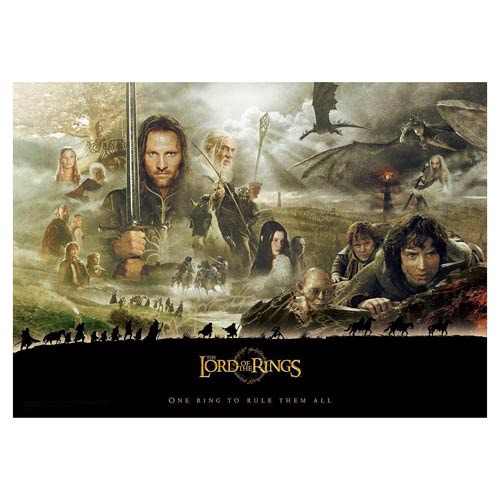 This Lord of the Rings Trilogy Journey MightyPrint Wall Art Print measures approximately 24-inches wide x 17-inches tall.